Even before I became an aspiring animal advocate, Best Friends Animal Society had been on my radar. I must have become aware of them back in the 1980’s when they were first starting out. In 1991 they officially became a non-profit, tax exempt charity. Only recently have I become more involved; for a mere $25 I was able to become one of about 300,000 “members”. 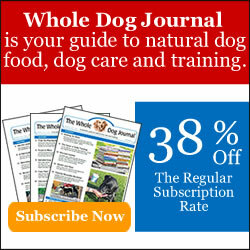 I receive their magazine and email newsletters; and my donation helps the animals they care for. I want to talk about them now because they are having their annual Angels Rest Blessing Ceremony on Thursday September 27th. You can go online and for a small donation (amount is your choice) create a memorial for your pet, which you can later visit online. You will be making a gift to help homeless animals while being able to honor or memorialize your own pets. They will air a video of the actual blessing in early October. Best Friends has a sanctuary on a 33,000 acre ranch in Angel Canyon in southern Utah. Here they house up to 2000 homeless animals, most with physical or behavioral needs. Their goal is to work with these animals so that they can then be adopted out. They are the largest no kill shelter in the nation. If animals cannot be adopted out, then they can live their lives out there at the sanctuary. Some of you may have heard that they worked with some of the Michael Vick dogs. They have a TV show “Dogtown” which airs on National Geographic channel. I once watched a special about the “Vicktory” dogs as they called them. It was heartwarming and inspiring. Best Friends’ mission, according to their website, is “to bring about a time when there are no more homeless pets”. They work far and wide with other organizations all over the country to try and reach this lofty goal. Their philosophy is that “kindness to animals builds a better world for all of us”. Who could argue with that? They say that when they started out in the late 1980’s, that over 17 million dogs and cats were killed in shelters every year. Now that number has dropped to 5 million. That is still too many, but we have at least come a long way. To me, that says that their goal is not so unattainable. There is a lot more work to be done, but I believe there are many more people doing that work now. I have made a donation and wrote a short memorial for my late dog Maggie and her brother Bear, who belonged to my sister and her husband. I chose those two of all the pets we have lost because Maggie and Bear were not only siblings, but they were truly best friends. Maggie left this world long before Bear did, but now Bear has joined her at the Rainbow Bridge and I like to think of the two of them once again frolicking and playing together. You can learn more about Best Friends Animal Society at their website www.bestfriends.org. If you would like to learn more about the Angels Rest Memorial Park there is a wonderful video available to watch giving a tour of the park, where there are over 6500 animals in their final resting place: Click here. If you would like to make your own donation and memorial please click here. Your tribute must be in by Wednesday Sept. 26th at midnight (mountain time) to be included in the blessing. There is no shortage of non-profits for animals that we can give our money to. I think Best Friends Animal Society is one that is definitely worthy. Jan-thank you so much for making a donation to Best Friends Animal Society in memory of our Maggie and Bear-that means so much to me, and this is such a worthy cause. I had no idea of what is done, or happening there, but this is truly a wonderful thing they have going on, and must need our support so badly. I am only sorry that I did not see this in time to make my own donation for the blessing-however, I can donate at anytime to their cause, correct?? Please keep me informed of when I can see the video of the blessing, and if I can see your memorial online. Kudos to Best Friends Animal Society for all they do for these animals. And to you, Jan, for raising awareness! You are so welcome, Lynn. If you have time to browse Best Friend’s website you really can see what an amazing place it is. Yes, you can donate any time, and that would be great if you did. They are funded completely by donations. I will let you know when the video is up!